Although there are many topics and purposes for writing an essay, your essay will have the same format and the basic structure. This article will guide you to the things you should consider and the necessary steps that you should follow to write a simple basic essay. There are three important things you should consider when you decide to write an essay: subject, target reader(s) and purpose. Most of the times, the subject of the essay will be given to you. If it’s not, you should write about what you know. Many times, your target reader will be your teacher but other times your target readers will be your peers, parents, employers, newspaper editors or the community. The interests and perspectives of your readers. Selecting the topic that is relevant to your readers if it is not given to you. Using language and examples that are appropriate to your readers. 1. Narrative essays: Telling a story. In this essay, you tell a story about a real-life experience and involve the readers by making the story as vivid as possible. 2. Descriptive essays: Painting a picture. In this essay, you describe a person, place, object, …etc. and communicate a deeper meaning through the description using colorful words and sensory details. 3. Expository essays: Writing only facts. In this essay, you present a balanced analysis of the topic. You explain or define a topic using facts, statistics and examples. This kind of essay includes the comparison and contrast essay, the cause and effect essay, and the “how to” or process essay. 4. Persuasive essays: Convincing me. In this essay, you try your best to convince the reader to accept your point of view or recommendation. Here, you should use logic, examples, expert opinion and sound reasoning. You should also present all sides of the argument and communicate clearly why a certain point of view is correct. Every essay has three components: a beginning, middle and an end. The beginning is the first paragraph which is called the introduction. The middle is called the body of the essay. It often consists of three or two paragraphs. At the end of the essay there is a final paragraph which is the conclusion of the essay. (Question) What is more valuable than gold? (an essay on friendship). (Imperative) Look into the heavens and count the stars if you can. (an essay on outer space). It states the main idea of the essay. It is one or two sentences at the end of the introduction that tells the reader what your essay is about. Here is an example of a thesis statement about friendship: Having good friends is great as they make life enjoyable. Here is an example of the whole first paragraph of an essay on “friendship”. What is more valuable than gold? “A good friend” is my answer. Having good friends is great as they make life valuable and enjoyable. A Lesson Plan to Teach Email Writing. Writing about some personal experience. Compose a written text (an email) based on a familiar subject. Recognize the differences between writing a letter and writing an email. Show the class a real model of an email (on a wall sheet, overhead projector or data show) and encourage Ss to talk about what they see. Show Ss the box where we should write the email address of the receiver and how to write it. Show Ss the box where we should write the subject of the email. Point to the word “Dear” referring to the name of the receiver after it. Ask Ss to read the body of the email and check their understanding. Select with Ss a familiar subject to write an email about to a friend. Specify the email address and the name of the receiver and write them on the board. Elicit some suggested sentences to be impeded in the body of the email. Ask Ss to work in pairs and write the email (in a separate paper) as the model they saw before, go round to check and give help. Take some emails and show them to the class. Read out them and provide feedback. Each pair take their email to make the correction needed and then come to the front showing the class the final version and read the email aloud. By reminding Ss with the rules of writing an email. By asking Ss to write another email at home after specifying the information needed for doing that. Writing is like swimming – it needs a conscious effort and repeatedly practice. 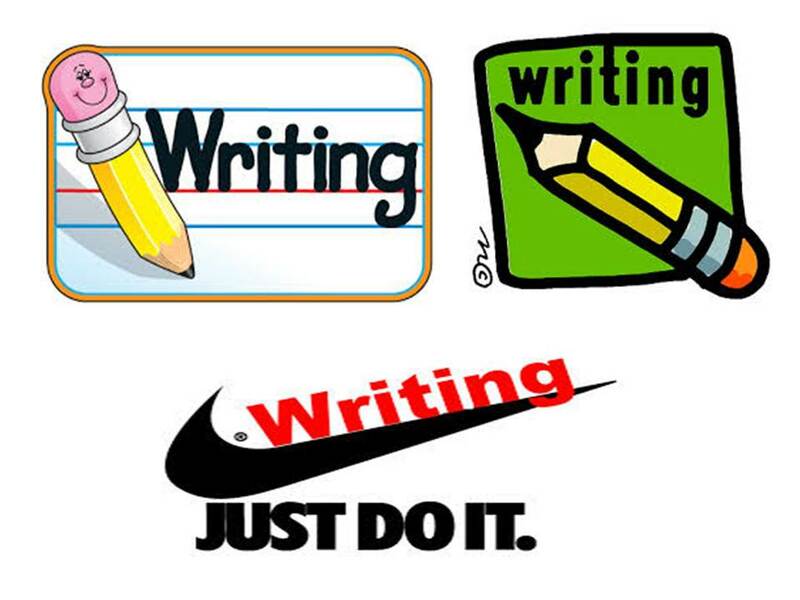 We as teachers should be aware of the difficulties our learners may face on their writing tasks at elementary level. Unexpectedly I think it is not easy for elementary students to simply copy a couple of lines without making mistakes or compose a paragraph on their own. Therefore, I suggest the following tasks that enable learners to write in English without having the burden of thinking too much about content and text organization. 1. Present a sentence to the class, then cover it and make the class write it from memory. 2. Hand out a text including some mistakes for the class to find. 3. Distribute a story in the classroom with some missing words asking pupils to write them correctly. correctly and told by one of the students. 1. Let students read a text and note 5 to 7 keywords. Then put the text aside and try to reconstruct the original text using the keywords. 2. Let students listen to a story and then write about the main ideas included in it. 3. Ask questions that the learners are answering based on a picture. What/who can you see? Where is it? What happened? What will happen next? 4. Expose the students to some factual information in table like city or country fact files or personal profiles, then ask them to write a new version of the text based on the given one. Writing is not a frightening experience. By doing some controlled and guided activities learners can find a balance between rule oriented (spelling, grammar) and creative expression.